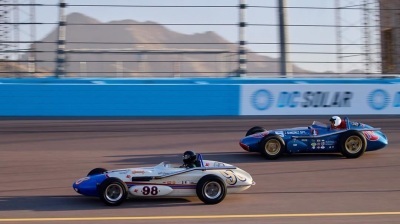 In 2017 and 2018, the Vintage Desert Classic was presented by the Classic Racing Times in cooperation with the Indycar Series at ISM Raceway in Phoenix. The events brought together dozens of the beautiful vintage race cars that are the centerpieces of CRT events, as well as several of the great Indy drivers from years gone by. For the 2018 event the Classic Racing Times was honored to be able to bring to the weekend several prominent cars from the career of Mario Andretti as the track marked the 25th anniversary of Mario’s final Indycar victory. 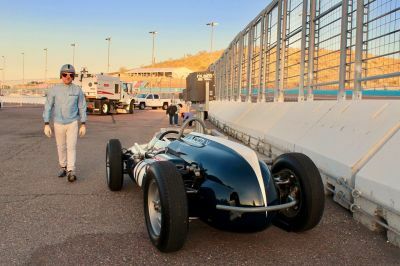 The Phoenix events also included the 100-lap Phoenix Copper Cup for the USAC Silver Crown Series, as well as, of course, the 250-lap Phoenix Grand Prix for the NTT Indycar Series. With the NTT Indycar Series not returning to Phoenix in 2019, the Classic Racing Times has moved to Iowa Speedway for Classic Indycars at Iowa, again in conjunction with the NTT Indycar Series.